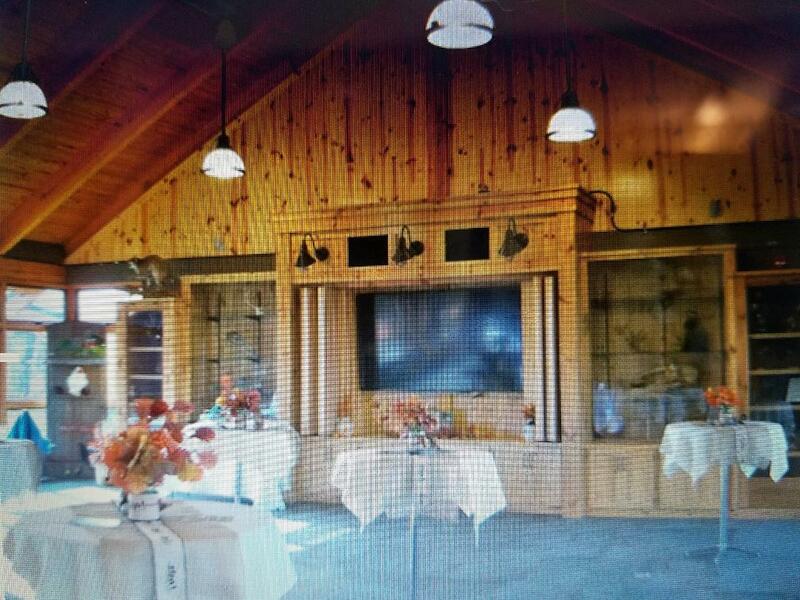 MAC on Water ; 1st Tues @ month Core El Centro 130 W. Bruce St.
at Milwaukee Athletic Club Interim - Appetizers will be available along with good company! Please join us! Not just for Rotarians! 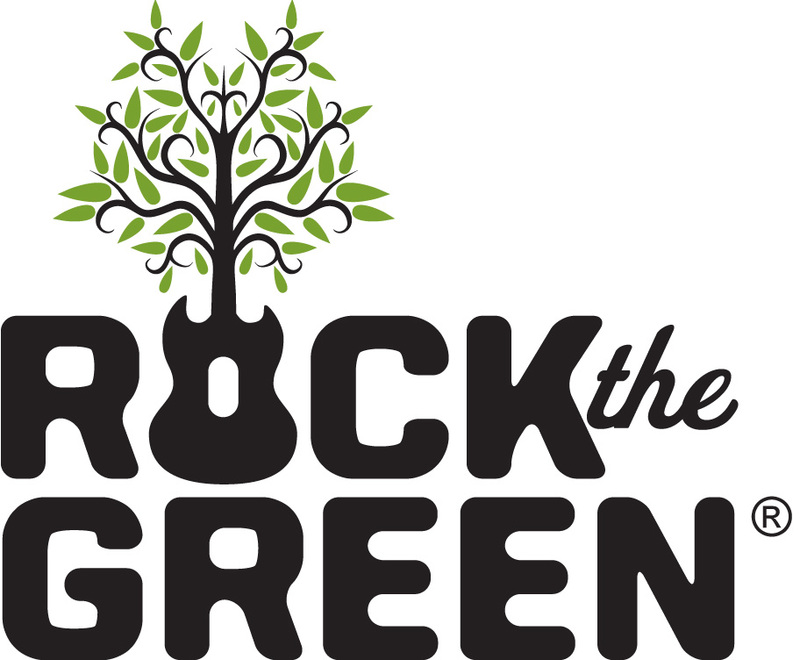 Join Milwaukee Riverkeepers afterwards for their FREE celebration with Rock the Green in Estabrook Park – Picnic Area #8 from NOON – 2PM! 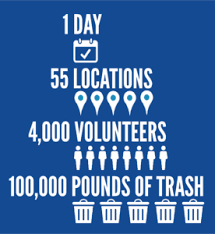 Celebrate the success of the cleanup with food, friendly company, and more. (all of 3 hours or whatever time you can give). Need not be a Rotarian to participate. 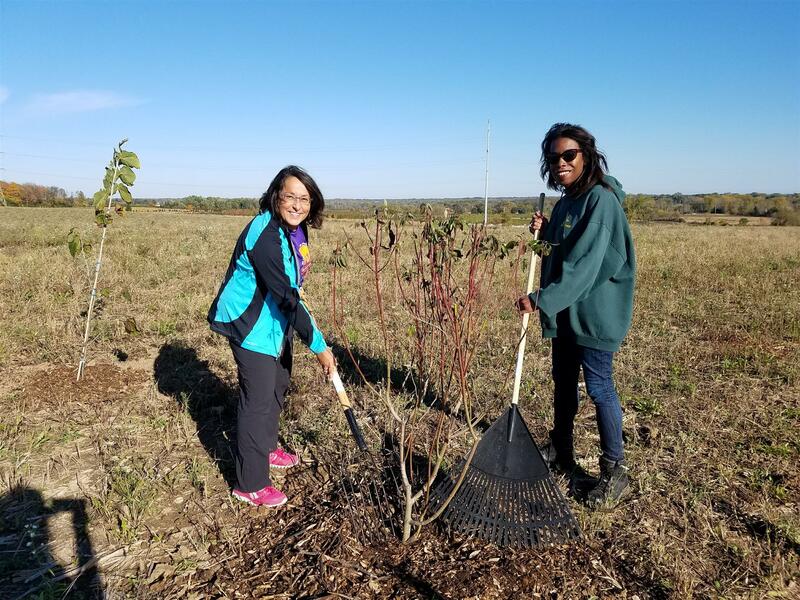 This is a Rotary Partner Service Project with Rotary Clubs of Mitchell Field, New Berlin, West Allis, and Whitnall Park. Andra Watkins - Featured in January 2017’s Rotarian Magazine, New York Times best selling author Andra Watkins chose a crazy way to launch her debut novel. She is one of the only living persons to walk the 444-mile Natchez Trace as the pioneers did. She had a life-changing adventure with her 80-year-old father. 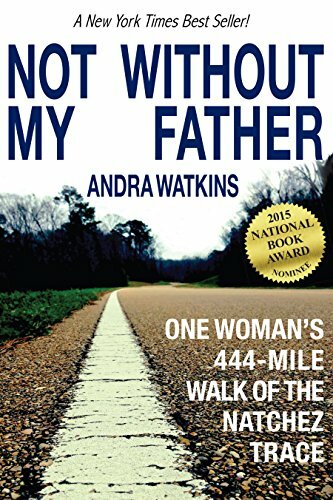 Her NYT best selling memoir Not Without My Father chronicles that experience. Rotary Foundation Global and District grants for District 6270 have been very successful in the past because they have involved members like you and I. MANY decades ago, Past District Governor "Ozzie" Oswald created opportunities for clubs to give for wells in Haiti and India. Today, Past District Governor Rick Debe is bringing new opportunities to our clubs as our 2018-2019 District 6270 Water and Sanitation Chair. 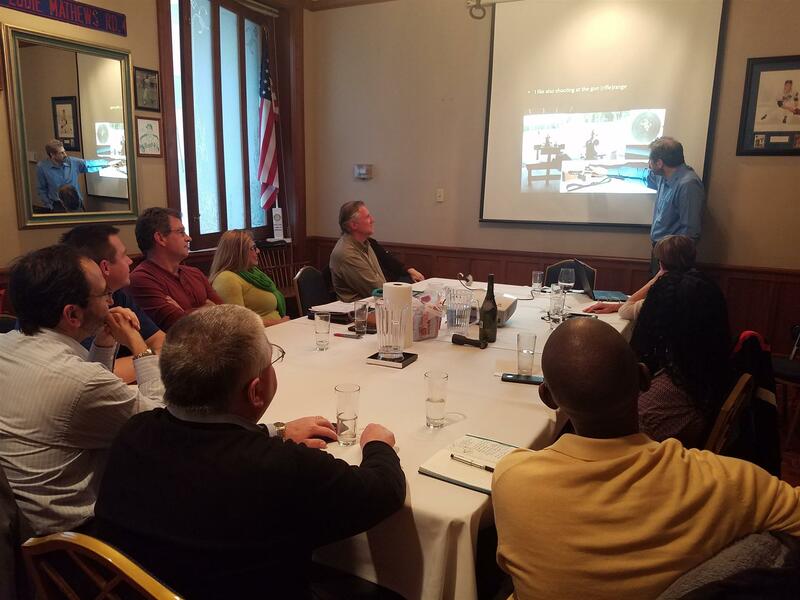 Rick shared the following, "We are embarking on some larger Global grants for Water and Sanitation around the world. Our Clubs in #6270 are joining together to leverage and maximize our efforts. District Governor Kola is a 2nd generation Rotarian and is a former Interactor, Rotaractor, AND Rotarian and may well be the only one in our District. He spoke to the club about growing the membership and staying true to Rotary without being so rigid that we don't grow or fulfill mission. 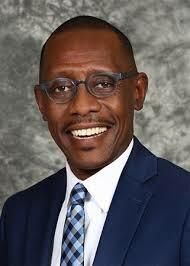 As a change agent he hopes to inspire our clubs and individual Rotarians to stretch and do things differently so we remain vital and meaningful. The board then met with Kola and reviewed what makes us an awesome club and how he and the district can better serve our club. 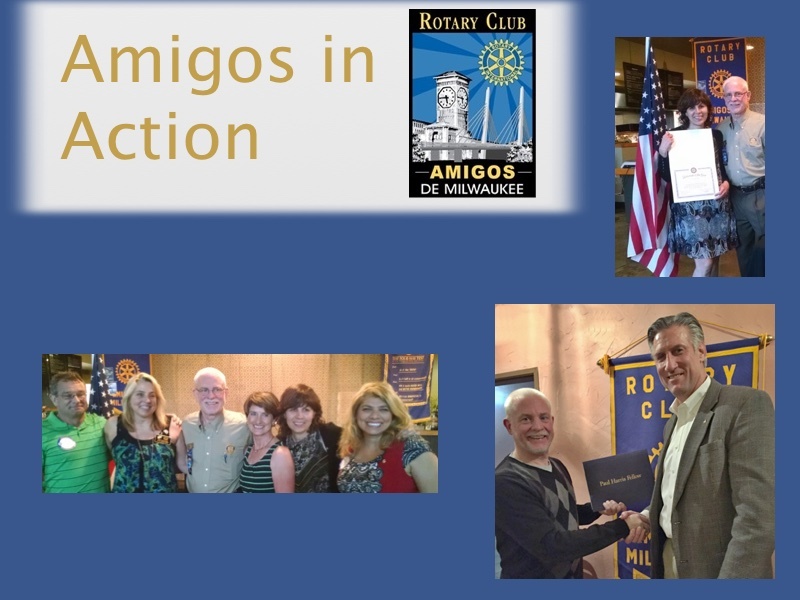 This orientation was a collaborative effort of the Rotary Clubs of Amigos Milwaukee After Hours, Mitchell Field, New Berlin, West Allis, and Whitnall Park. Three Amigos Rotarians participated in this orientation that was very well received. Sadly we said farewell to Gustavo de Arriba. He only recently learned that he has been hired at a new company based in Denmark .We know we will see him again but will miss his leadership, his joy, and warm welcomes at our wonderful little club. Our club's 4th time serving dinner to the women and families residing at Cathedral Center. We had a lot of fun and one of our Rotary members volunteered with his family and a friend. 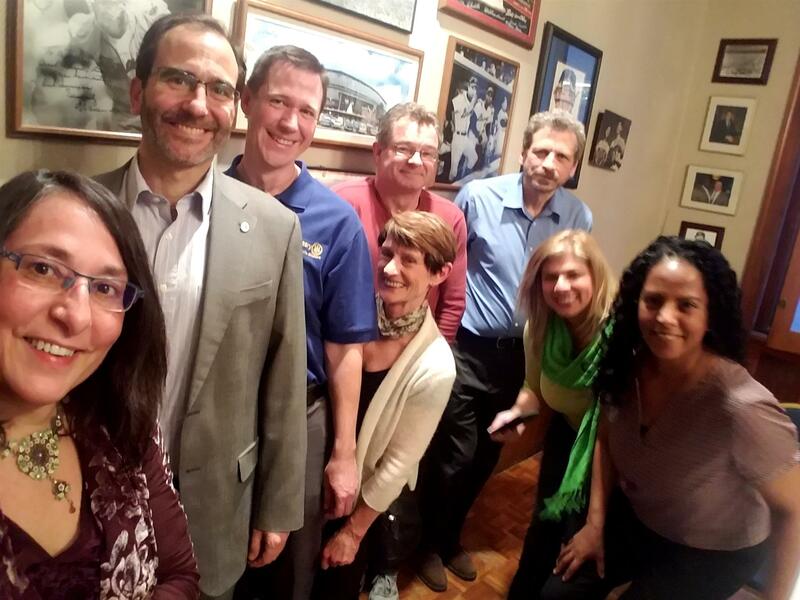 Great board meeting with updates on our service projects, new activities, our new Instagram presence and soon to launch LinkedIn. Updates included learning of the District grant for a project in Uruguay . The board approved signing a Memorandum of Understanding in further steps toward the application of a Rotary Global Grant for the microloan program in Haiti with We Build. We also learned that our club will be involved in Youth Exchange for the first time as President-Elect Gustavo de Arriba and his family will share a German Exchange student with the Mequon-Thiensville Sunrise Rotary Club. Our first multi-club New Member Orientation will partner with Mitchell Field, Whitnall Park, West Allis, and New Berlin Rotary Clubs to be held from 6-8 pm on Thursday, Sept. 13 in West Allis. We have also been advised that we can look at starting a Rotaract Club that would meet WITH Amigos Club. More to come. Amigo Rotarians adopted a segment of the Milwaukee River and under the supervision and organization of Rotarian Dorothy Krupa, we have gotten the job done. This was our third time out this year. Amigo Rotarians Daniele Calasanzio, Frey Faris, Edwin Nyakoe Nyasani, and Angela Rester. The session included Rotarians from other clubs and District leadership. Our friend, Rob Bassett did a great job facilitating one of the groups. 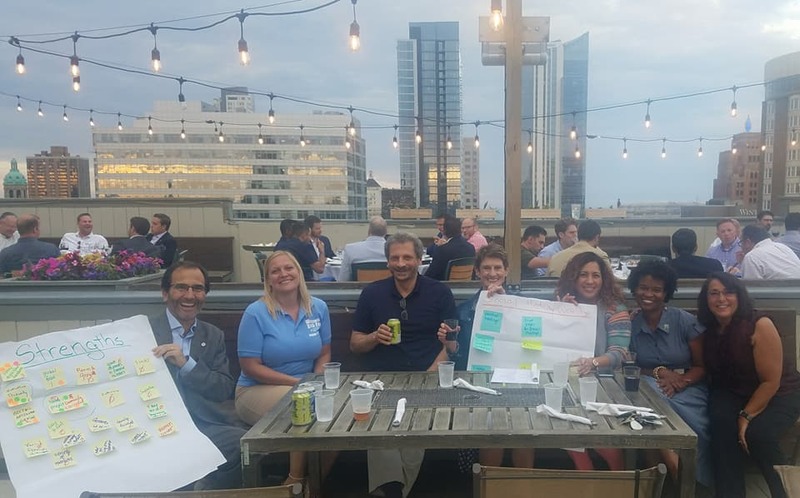 Tuesday, July 24 - Social at Milwaukee Athletic Club (MAC) Rooftop - need not be Rotarian to attend if you're Rotary curious. Appetizers were provided. Cash bar. Rotarians from Amigos, West Allis, and New Berlin joined us in our second of three river clean-up sessions as part of our club's Adopt a River commitment. It was an exciting evening as those gathered offered thoughts on what are strengths, weaknesses, and priorities of attention and actionable steps in our first month (accomplish by August 25). Afterwards some gathered on the MAC rooftop for great food and fellowship. Discussed what is on the horizon and how we will use July 10 to establish club Key Issues which will later have Action Plans developed. Ethiopian Adventure with special thanks to organizer Frey Faris and the wonderful owners and staff of Alem Ethiopian Village. The music, the dancing, the FOOD all made the Rotary Changing of the Guard extra special. 2018-2019 District Governor Kola Alayande inducted the board and president and shared his vision of Rotary with the nearly 40 attendees. The room was full of color as many wore international garb. Park clean-up project with Whitnall Park Rotary, Mitchell Field Rotary, and Amigos. We met at the domes at 8.30 A.M. and finished up with a picnic. Rotarians from Whitnall Park, Mitchell Field, Amigos, and West Allis clubs did a great job! John Nyakoe Nyasani - John was born and raised in Eldoret Kenya, East Africa. At 13 he knew he wanted to come to the United States and study. He vividly remembers being a child in his village and the community set up a screen and showed a movie....the first time anyone in their village saw a movie. One scene had a locomotive come straight at the audience and he recalls everyone moving out of the way. It was his introduction to technology that has remained through today. His father is a retired Agriculturalist and is a farmer. His mother owns a boutique and sells clothes. They were strong examples of curiosity, work ethic, and determination for John. They also own a tea farm in Kenya. John emigrated to Minneapolis, MN at 17 years of age. Currently he's the IS Business Automation Specialist / Health Reports Coordinator with the Wisconsin Department of Health Services. Bring business cards to network and share your business with other Rotarians. Learn about Fellowships for those who have vocations or passions and interests in over 30 Rotary International Fellowships including RV Rotarians, Wine Lovers, Canoe & Kayak, Chess, Marathon Runners, Police and Law Enforcement, Cycling, Quilters and Fiber Artists (see complete list further down in this column). Learn more about whether the Fellowship has dues or no dues and visit their web site by clicking on the links in list. Download the 2018 Annual Report for additional information about all Rotary International Fellowships by visiting the bottom of the page at https://www.rotary.org/en/our-programs/more-fellowships. 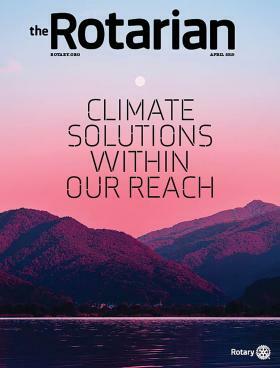 The March Rotarian Magazine featured a series of articles, "Why Climate Change is Rotary's Business and What Rotarians are Already Doing About It". Have you joined a Fellowship yet? Don't know what they are? Awesome way to connect Internationally and locally with other Rotarians who share your interests or hobbies. 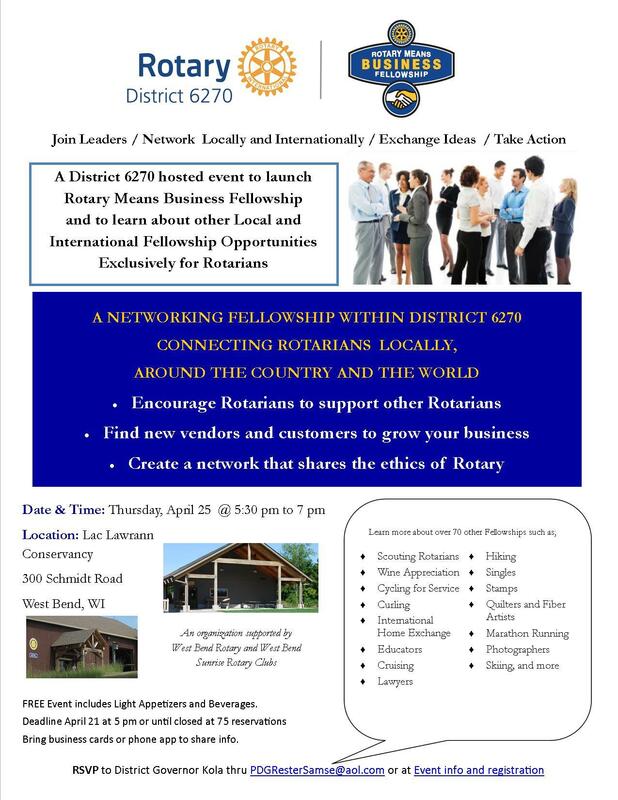 "District 6270 has now officially become the first Rotary district in Wisconsin to be chartered under the Rotary Means Business Fellowship. Rotary Means Business encourages Rotarians to support the success of their fellow Rotarians by doing business with them, and by referring others to them. I am of the firm belief that the most honorable people to transact business with are people who abide by the 4 Way Test. So, to launch the Rotary Means Business Fellowship, we are planning an event that will be announced soon where Rotarians who are involved in business or interested in business can come to socialize and learn more about how to join the fellowship. We are also working on an Electronic Business Directory (in PDF format) for all Rotarians involved in various businesses to be able to have their businesses listed so that other Rotarians can reach out to them to transact business or refer business to them." 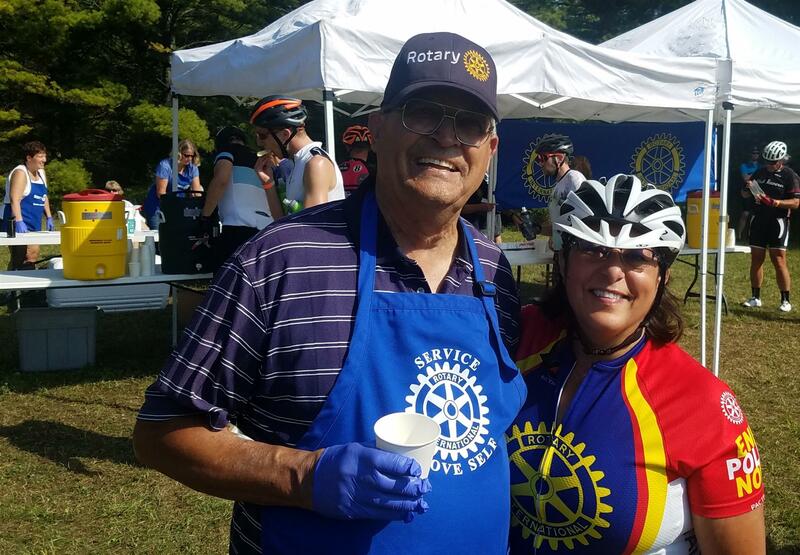 Rotarian and Cycling Fellowship member Angie Rester recently rode in the Penninsula Century Fall Challenge where she ran into the Rotarians from the Rotary Club Door County North who hosted one of the rest stops and fueling stations in the ride that starts and ends in Sister Bay. 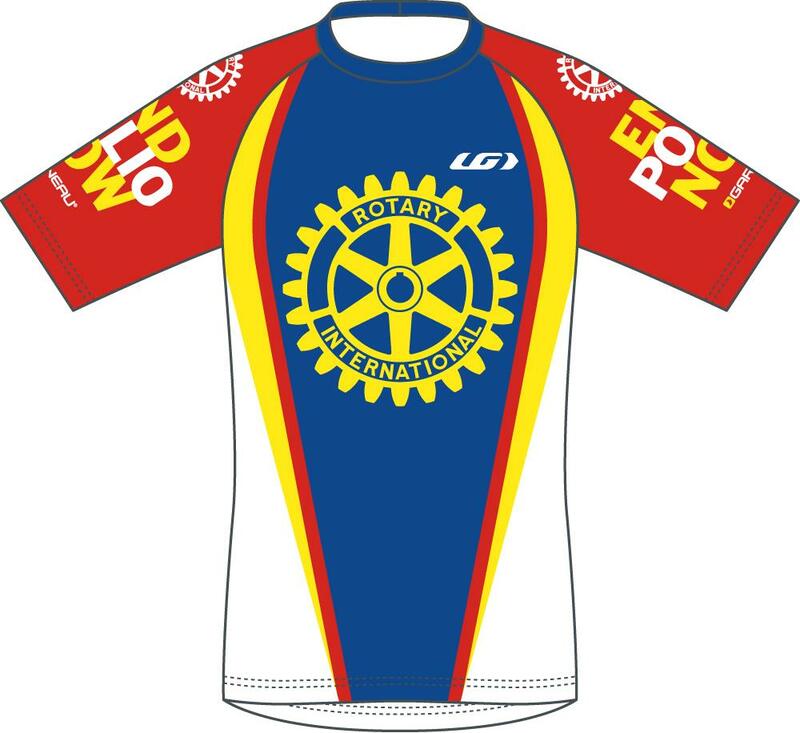 Cycling Fellowship members are also able to purchase the Rotary and End Polio jerseys made just for the Fellowship. Angie is available for presentations to clubs regarding Fellowships. She serves as the District Fellowship Chair. Click here to email her your request or questions. Are you interested in serving on the District Committee for Fellowships? Meetings will be telephonically so you can join the committee from any place in the District. PDG and Amigos President Angela Rester and Past Amigos President will attend. 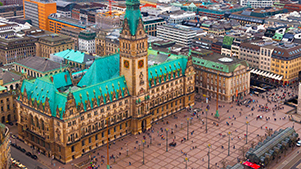 Let her know if you wish to go to consider shared apartment in Hamburg. 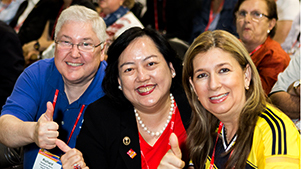 Unforgettable moments are made at the convention, a place where the Rotary spirit fills the air with a level of energy and enthusiasm you can’t find anywhere else. This is the event where we unite and take action to create true and lasting change in the world. 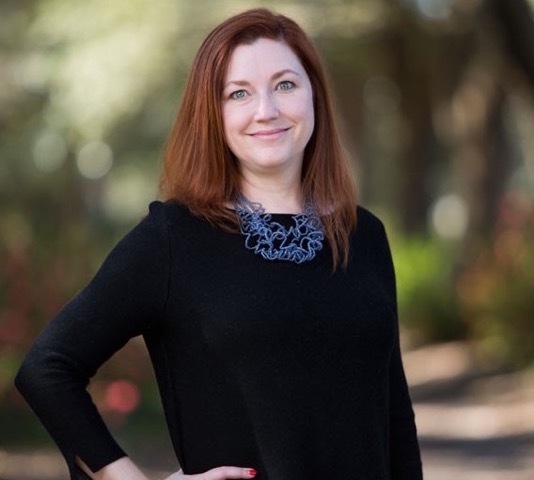 Angie has attended multiple conventions starting in Nice, France in 1995; Indianapolis, Indiana; Singapore, Singapore; San Antonio, Texas; Chicago, IL; Salt Lake City, Utah; and Montreal, Canada. Angie has registered to also attend the Peace Conference that is convening just before the Convention from May 31 - June 1. Any Rotarian may also register for it or the pre-convention Rotaract Symposium. Want to Make a Difference with Rotary? When You Want to Make a Difference in Your Part of the World AND in the World, Rotary is the Organization that Helps You Do That!